I get so many requests for information each week I decided to write what you need to know. Basically under our Marriage Law a visitor is classified as someone who is here temporarily for the purpose of a vacation. Non-nationals who are here as students, on a work permit or for a few months (snow-birds) are considered residents, and different rules apply. A visitor must be married by Special Marriage License, which costs US$200. 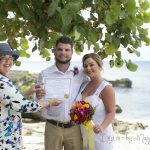 You can apply for the Special Marriage License yourself, but the most convenient way to get this is to have your Marriage Officer get it on your behalf and bring it to the ceremony. 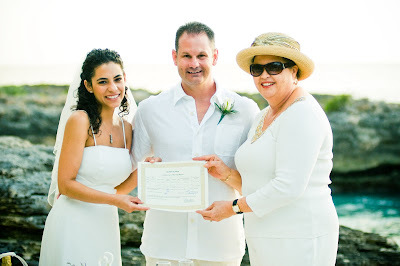 Most times, particularly for cruise ship weddings I submit as much paperwork as I can in advance, but on the day of the marriage I still have to produce the couple's original signatures and their proof of visitor status, normally the ship's cards. I arrange to meet my couple near the Rayal Watler cruise terminal. This is where the tenders, the small boats which bring cruise visitors from the cruise ship anchored in the harbour to the pier, dock. If you want to get dressed for your wedding in a formal wedding gown, I will take you to our office to dress. If you are traveling with a group, I arrange your transport to your chosen location. In most cases, this is Seven Mile Beach, but I have other beach locations I recommend as well. I do not use locations that you have to pay to use. I do not accept commissions from any vendors to recommend their products and establishments, and I do not recommend any vendor whose services I would not use myself. I will tell you up front what all charges are, and if I can't do something I will tell you that as well. I have a refund policy, and a bad weather policy. I require a $200 deposit in advance to book your visitor wedding. This is because I do only one cruise wedding per day. 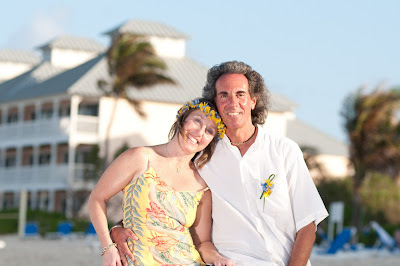 I want you to make the most of your Cayman experience. Visitors can get married on Public Holidays, Saturdays and Sundays when the government office where the Special Marriage License is obtained is closed, if special arrangements have been made in advance. At the wedding I will give you a decorative certified copy of your marriage certificate. I am required by law to give you a certified copy the day of your wedding. It is my choice to give you something nice which you want to keep. 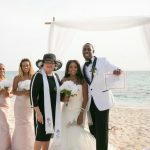 At your wedding you must sign three copies of the Marriage Register, one is yours (referred to above) one is mine, for my Marriage Book, and one I file the next day with our Public Records Office, also known as the General Registry. If you are a visitor, I apply for and obtain on your behalf, a Registered Marriage Certificate which is the legal proof of your marriage you will need when you go back home. This RMC says "secure copy" on the reverse. On the front it has your details, a coloured watermark of the Cayman Islands Crest and a raised seal of the Registrar General. This Registered Marriage Certificate is recognised world-wide. Make sure that you arrange with your Marriage Officer to get this important document, normally it is mailed to you within a few days of your marriage. If you lose your RMC you can replace it for a small fee by writing directly to me. Many people get two copies from the beginning, in case they have to file their original copy with the authorities back home. Arrangements for stay-over visitors are much the same, except that we ask you to come in to our office to complete the documentation for your Special Marriage License. I can come to your hotel, but there is an extra change for this and I usually do it only for my corporate clients eg. 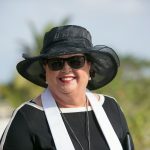 hotels who use my services as a marriage officer, and not as a wedding planner. 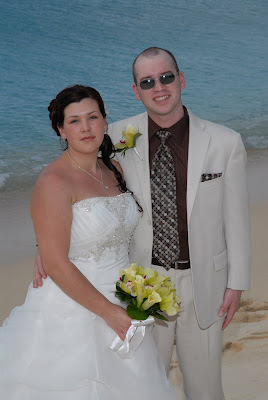 I have been performing weddings in the Cayman Islands for almost 15 years, full-time for the last three years. I am not a Minister of Religion, I am a Civil Registrar of Marriages. You can choose to have a spiritual ceremony with a prayer, or you can have a completely secular ceremony. 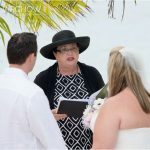 I have a great variety of ceremonies with reflect marriage traditions of many cultures and countries.